There is no landlord in the world who does not want to find the best possible tenant for his rental property. Everyone wants to meet good people and same is the case with landlords. The following are some of the character traits that make up a perfect tenant. 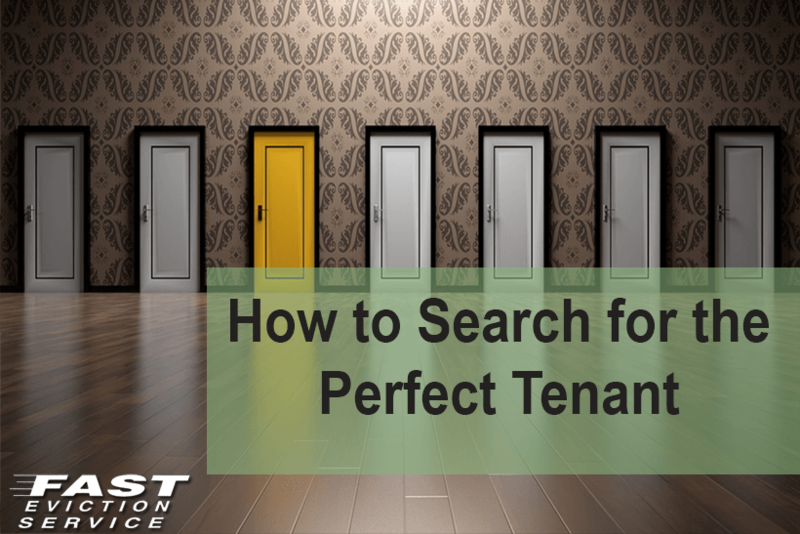 The only problem that remains is that it is almost impossible for someone to search for a tenant that has all of these characteristics present in him. Even if you don’t get a perfect tenant, you can at least try to get the tenant that pays the rent regularly and that too, on time. If you follow a few steps to check the background of the tenant before letting him in, you will probably have little problems later on and will surely have a good relationship with your new tenant. A credit check of the new tenant can give you an idea about his financial status and that whether he will be able to pay the rent every month or not. The credit report will ensure if your prospective tenant is on the electoral roll, has told you the correct previous address he was living at and whether or not he has undergone any bankruptcy or insolvencies of any kind in the past. The employer’s reference is a way to determine if the prospective tenant is employed or not. It will also confirm the time since he has been employed with a certain company and whether he has a full or part time job. Moreover, the employer might also be able to shed light on the personality of your potential tenant too. He might be able to tell you about his habits and mannerisms as well. If the tenant is at present living on rent elsewhere then you can ask for the reference from his current landlord. This will give you an idea of what kind of relationship the tenant has with his landlord. Moreover, it will also give you the chance to know important details like the amount that was paid as rent, was the rent paid on time or not, the dates pertaining to the contract, whether the tenant was good with the property or not and many other such tidbits of information that will help you make your mind. By forcing prospective tenants to answer questions from their former landlord’s point of view, its amazing how they will want to tell their side of any problems they think you will uncover when you make this call. You can often get far more meaningful information having it come out of the person’s own mouth than what you will get from the former landlord. By forcing them to answer questions from their former landlord’s point of view, it will tell you much about how outward looking and accurate in their statements regarding others that you will subsequently be able to discuss with the landlord when you call. This is a very powerful technique for getting reference information that gets past surface appearance for the information you really want!